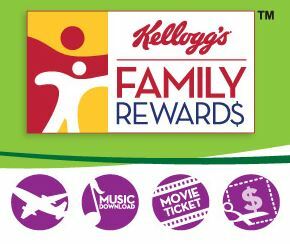 There is a new Kellogg’s Family Rewards code available! Enter code GIFTOFMUSICBONUS for (20) points. Make sure to join if you haven’t already to get exclusive rewards and earn coupons for some of your favorite Kellogg’s brands. You can get all kinds of great high value coupons that can make for some great savings! You can find these codes on specially marked Kellogg’s Family Rewards items or just check out the codes I post for extra points!